[Source: Jahna Berry, Arizona Republic] — Like Scottsdale, Phoenix hopes a trolley is the ticket to downtown fun. Surveys went out this week to gauge Phoenix business owners’ support for a late-night trolley that would take visitors to parking garages and to downtown nightspots. It would be similar to the 22-seat, four-wheeled trolley that drives visitors around downtown Scottsdale. Under the proposal, the trolley would makes stops at several businesses and two city parking garages, which would offer discounted evening fees. The Downtown Phoenix Partnership plans to discuss the questionnaire’s results in a few weeks. Shop owners hope that the trolley, which could cost $40 a week per business, could make downtown Phoenix more enticing for people who worry about parking or walking long distances, some say. “We think that it could be a great selling tool for downtown Phoenix,” said Bill Smith, who owns several downtown restaurants. While people could theoretically walk from a Dodge Theater show to Majerle’s Sports Grill, “the Phoenix market isn’t accustomed to that,” Smith added. The buildings are roughly seven blocks apart. The trolley would be bankrolled by several businesses and many details, including the final cost and the route, depend on how many shops participate, Smith said. The talks come as the City Council voted to cut bus service after 10 p.m. and before 5 a.m. to save money. The city must slash an estimated $250 million from its budget. The free city-operated Downtown Area Shuttle, also known as DASH, stops running at 8 p.m. The proposed downtown trolley could run as late as 2 a.m., when many bars close. “If we stick with DASH it’s limited what we can do,” said Terry Madeksza, operations director for the Downtown Phoenix Partnership. “The ball is in our court.” The goal is to have the trolley in place by Jan. 1, around the time that light-rail service begins, Madeksza said. Metro officially begins service Dec. 27. [Source: The Associated Press] — Bus ridership in metro Phoenix increased during January, February, and March from the same time a year ago as more and more commuters left their cars at home, Valley Metro officials said. In March, Valley Metro recorded an average of 6,861 bus boardings daily, an increase of 15.9 percent from March 2007’s numbers. January and February posted increases of 8.5 percent and 6.8 percent, respectively, Valley Metro officials said. 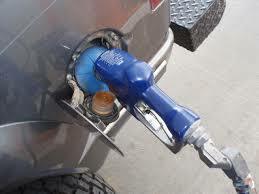 “Gas prices have an impact on the demand of our services,” said Susan Tierney, Valley Metro spokeswoman. To find the least expensive gas price in your neighborhood, click here for the MapQuest Gas Price Calculator.